As the world’s number one travel company to Australia, we know all there is to know about the Land Down Under – and that includes sorting the fact from the fiction. As it happens, we love busting myths, especially the common misconception where people refer to an Australia trip as being a ‘once in a lifetime’ experience. Don’t get us wrong, Oz is amazing – every experience here is one you’ll remember for a lifetime… but that doesn’t mean you only have to do it once! How about twice, three times, or even four? WHAT YOU’LL SEE: Our most iconic, action-packed Australia itinerary, this holiday will deliver the world-famous sights of Sydney – from the Bridge to the Opera House – as well as giving you the chance to discover some of New South Wales’ highlights, like the Blue Mountains or the Hunter Valley wine region. You’ll fall into the shadow of Uluru (Ayers Rock) in the Northern Territory too, not to mention dive deeper in Port Douglas, gateway to the Great Barrier Reef and the underwater safari treasures within. It’s just over two weeks in length, but start your Journey on a weekend and you’ll still only need to take 10 days annual leave. WHAT YOU’LL SEE: Explore the delights of Western Australia under your own steam with this DIY itinerary. We’ll include your flights, eight days’ campervan hire and a Swan River cruise – the rest is up to you. 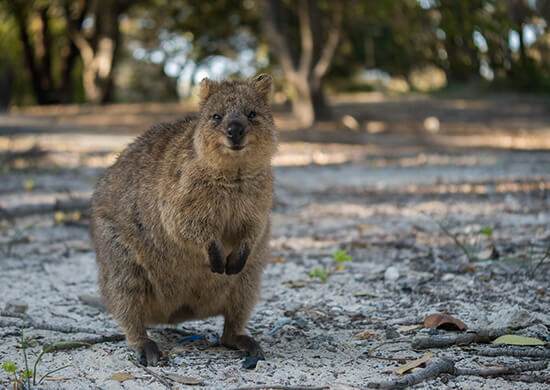 So why not swim with whale sharks in Ningaloo Reef, grab a quokka selfie on Rottnest Island, or sip coffees in laid-back Fremantle? Taking in Perth – Australia’s sunniest city, boasting 3,200 hours of glorious sunshine every year – is a must too, as well as gazing up at the impressive Wave Rock. WHAT YOU’LL SEE: From Melbourne’s diverse laneways and buzzy café culture, to the waddling little penguins of Phillip Island, it’s hard to know where to begin in Victoria. But don’t worry – this itinerary does all the thinking for you, including the Penguin Parade (within the Phillip Island 4 Park Pass), a Lanes & Arcades tour as part of a few days in the state capital, and six days' car hire – so you can cruise down to the beautiful Mornington Peninsula and head out for hikes in Wilson’s Promontory National Park. WHAT YOU’LL SEE: Wine and wildlife are the core elements of this incredible trip. 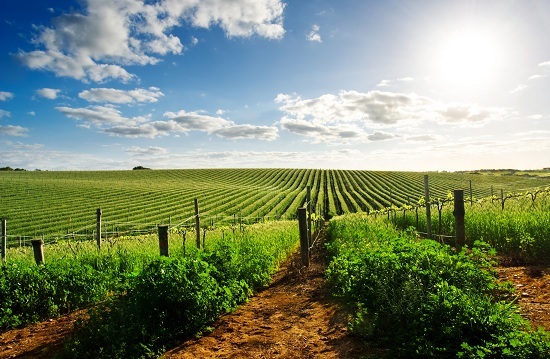 Sip gorgeous grapes in the Barossa and Clare Valleys – known for their Shiraz and Riesling respectively – and seek out kangaroos, wallabies, koalas and echidnas on the beaches and meadows of Kangaroo Island. If it’s an aquatic adventure you’re after, you’ll find it in Glenelg, where wild dolphins reign in the waters, and, for foodie delights, starting your Journey in Adelaide is a great way to sample the best cuisine South Australia has to offer. WHAT YOU’LL SEE: Great wines, museums and art galleries are the order of the day in laid-back Hobart – but that’s just the start of Tasmania’s treasures. 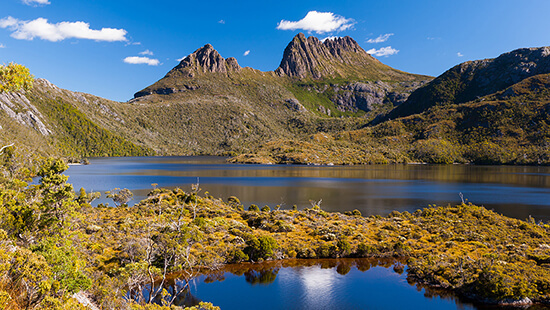 Beyond the city, dramatic landscapes await, including the likes of the UNESCO-listed Cradle Mountain-Lake St Clair National Park – with its abundant waterfalls and lakes – not to mention Wineglass Bay, home to dolphins and seals. Hear ghostly prison tales on a tour of Port Arthur, sample local varietals on the Moorilla Estate and discover the delights of Launceston’s cliff-filled waterfront on a cruise too. Make an appointment with one of our Travel Experts to make the most of your Two Week Walkabout around Australia, and to book your amazing holiday.